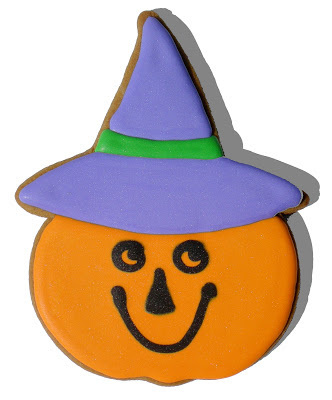 This year I became obsessed with finding a witch's hat to put on a pumpkin - cookie cutters that is. I searched locally and found one in a set - but I didn't want the cauldron, the boot or the broom. Online I found just the hat I wanted - several places of course, and then it became a matter of how much shipping did I want to pay for just one cookie cutter? I needed other things too but no one site seemed to have all of the things I wanted to amortize the cost of the shipping. Well actually one site came close but they charged by weight and I seemed to have heavy wants - it adds up fast! Finally I decided this was stupid and ordered my witch's hat from Off the Beaten Path through Amazon for $1.25 plus $3.78 shipping. 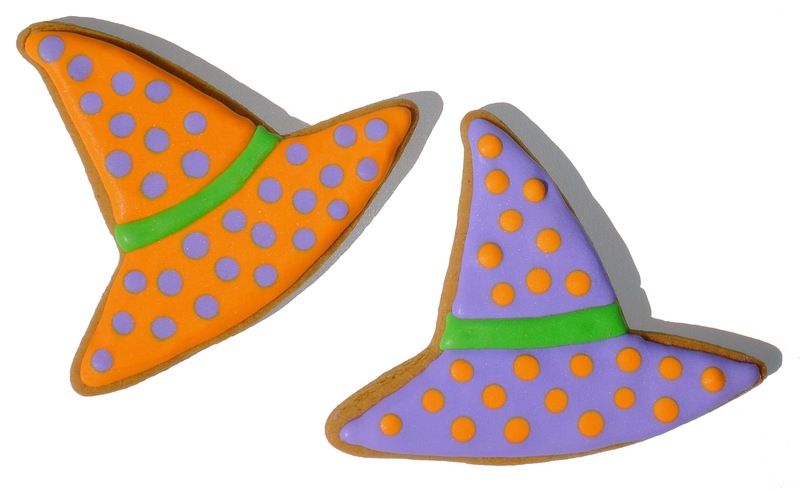 They are one of the sites that charges by weight - not so bad if you only want cookie cutters. The hat was here in two days - WOW! I love this! The proportions are perfect and I like how you did the eyes. 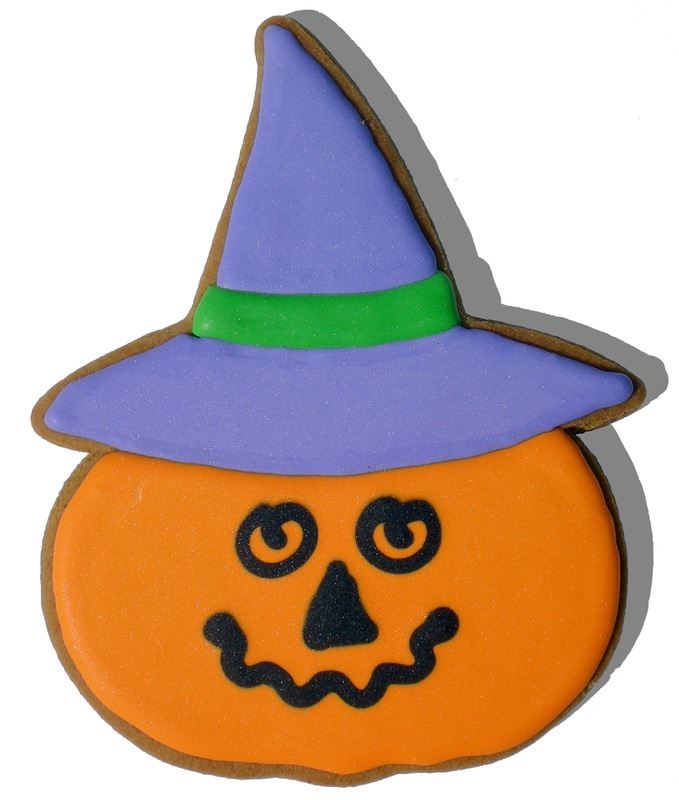 I agree that adding green and purple as Halloween colors makes decorating much more interesting. Well - the pumpkin is the stretched out apple/bell pepper we were discussing and the eyes were a happy accident. Thanks for the comment! Gracie says: "Gracie wants one!"